Is there a flavor that just immediately transports you to fall? Caramel apple and anything with pie spices do that for me. Instantly. It’s like tasting childhood and feeling cozy all at once! 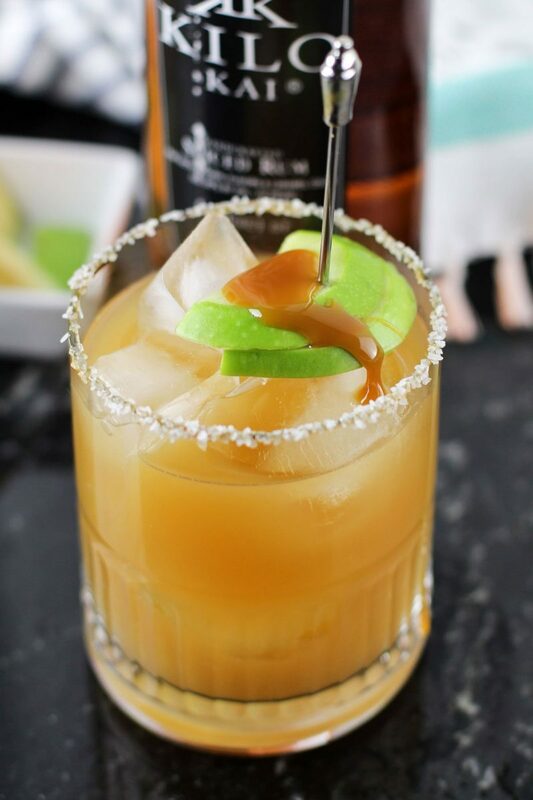 This delicious salted caramel apple cocktail recipe is perfect if you need some help getting into that cozy fall feeling. 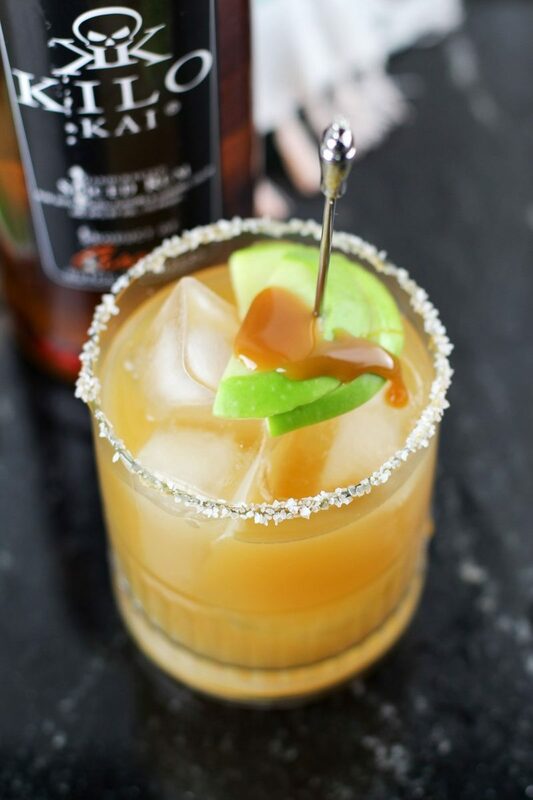 It would be the perfect drink to batch up for a bonfire or party, too, like Friendsgiving! Smear the rim of a rocks glass with a little caramel sauce. Pour about a tablespoon of coarse sea salt onto the saucer, and dip the rim of the glass in the sea salt until coated. 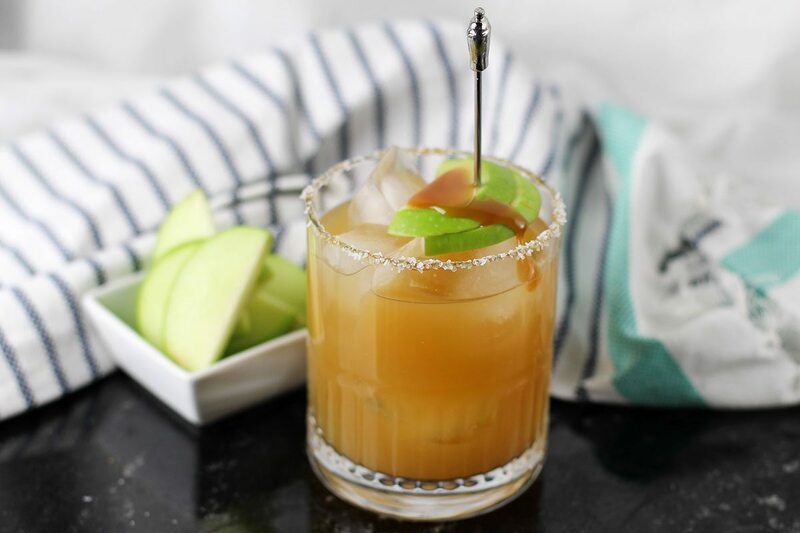 Mix maple syrup, spiced rum, spiced apple cider, and three ice cubes in a cocktail shaker. Fill the prepared glass with ice cubes and strain the cocktail into the glass. 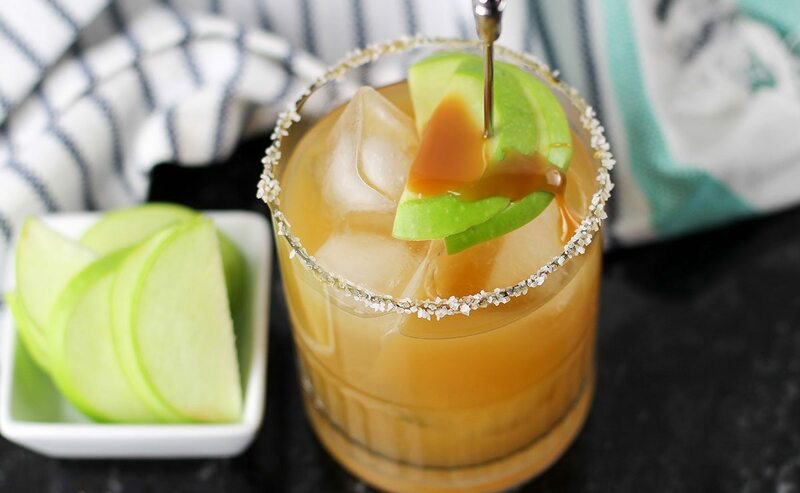 Garnish with thin granny smith apple slices drizzled with caramel sauce. 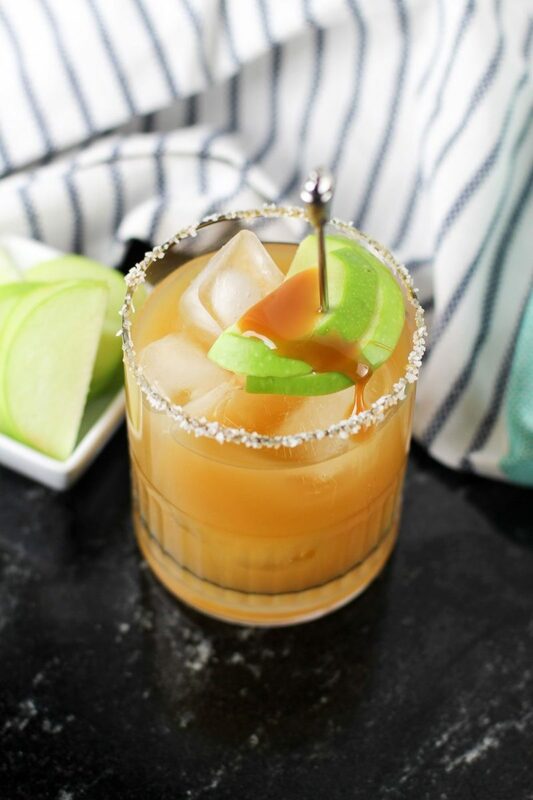 Love this delicious salted caramel apple cocktail !